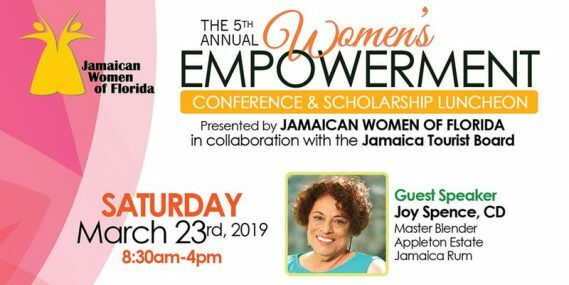 The annual Jamaican Women of Florida Women’s Empowerment Conference a staple on the South Florida calendar of activities for a cross-section of women leaders, corporate, entrepreneurs, and millennials. The day will be filled with high energy and enthusiasm as women share practical business skills, create access to coaches and mentors, share their experiences, and network to enable opportunities and growth through informal sessions and discussions. The one-day event will begin at 8:30 a.m. and wraps up at 4:00 p.m. Scheduled events will include a silent auction, a day-long shopping gallery with unique items, a signature to JWOF events.